Well, last Friday was a lot of fun sharing several Pinterest posts. Today, I share a couple of books I’ve enjoyed in the past. First up is Armor by John Steakley. 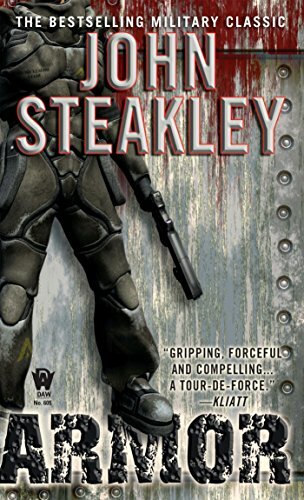 This is a military SciFi with a few twists that I’ve enjoyed several times over the years. As you can guess from the title, there are a number of battle scenes all surrounding hi-tech military armor. I won’t reveal the story but it’s got an ending that enjoyed. The cover is a newer version and I think I like the original – I’ll see if I can find it or take a picture of it. 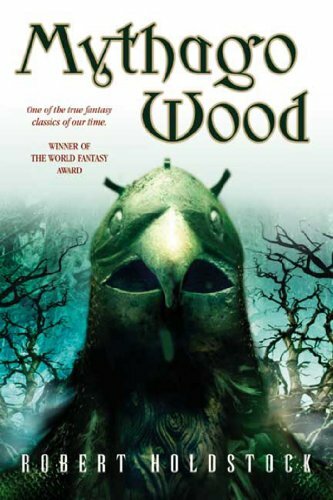 Next up is one that I read over twenty years ago: Mythago Wood. This a Celtic fantasy from the 90s when these were popular. This one is still highly regarded on all-time lists. Author Robert Holdstock passed away some years ago but he did leave us with several books in the series which I’ve got to find time to actually read some time. I hope you find these book shares interesting, maybe for starting over the weekend for some added fun. I might just join you if you do. Thanks for stopping by today. I’m sure I read Mythago Wood many moons ago, although I don’t remember it well. That title sticks in my mind! It does have a memorable title. It’s set just after WW2.